This reading group guide for The Lake House includes an introduction, discussion questions, and ideas for enhancing your book club. The suggested questions are intended to help your reading group find new and interesting angles and topics for your discussion. We hope that these ideas will enrich your conversation and increase your enjoyment of the book. From the New York Times and internationally bestselling author of The Secret Keeper and The Distant Hours comes an intricately plotted, spellbinding new novel of heart-stopping suspense and uncovered secrets. One Midsummer’s eve, after a beautiful party drawing hundreds of guests to the estate has ended, the Edevanes discover that their youngest child, eleven-month-old Theo, has vanished without a trace, a tragedy that tears the family apart in ways they never imagined. Decades later, Alice is living in London, having enjoyed a long successful career as an author. Theo’s case has never been solved. Miles away, Sadie Sparrow, a young detective in the London police force, is staying at her grandfather’s house in Cornwall. While out walking, she stumbles upon the old Edevane estate—now crumbling and covered with vines, clearly abandoned long ago. Her curiosity is sparked, setting off a series of events that will bring her and Alice together and reveal shocking truths about a past long gone . . . yet more present than ever. 1. The structure of this novel lies in recreating different time periods in Cornwall and London—in the early 1930s and in 2003. Do you feel that the author was successful in moving the reader between the historical and more contemporary times? 2. Thinking about the stories and histories in The Lake House, what themes were most interesting to you? 3. The Lake House is the English translation of Loeanneth, the house’s Cornish name. Have you read other novels in which a house features within the text as vital and alive, almost as if it is another character in its own right? 4. The main female characters, Sadie, Alice, and Eleanor are all strong women with flaws. Is this the way you saw them? Did their imperfections allow you to identify or sympathize with one more than another? If so, why do you think that was? 5. Sadie Sparrow’s job as a detective and Alice’s bestselling crime-writing career has allowed an interesting incursion of the crime genre into The Lake House’s gothic mystery genre. Were you aware of this in your reading? 6. Both World War I and II have tragic and far-reaching effects on the characters and narrative of The Lake House. Discuss. 7. 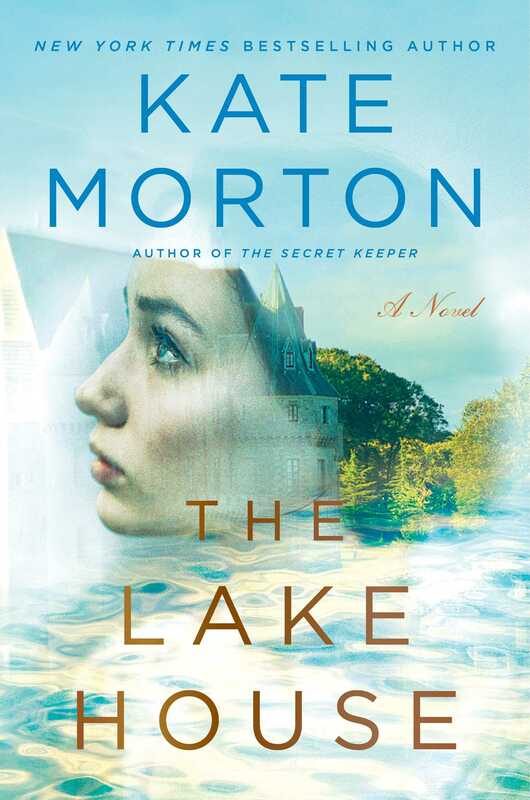 Mysteries, twists, family secrets, carefully placed red herrings, and unexpected revelations are now compelling traditions in Kate Morton’s novels. What parts of the novel were key to your enjoyment of the story? 8. The author poses the often complex question of what moral obligation each character has to another within their particular stories. Were decisions made within the novel with which you disagreed? Or could you see yourself making similar decisions? 9. After Sadie stumbles upon Loeanneth, she’s drawn to it, returning daily and “no matter which way she headed out on her morning run, she always ended up in the overgrown garden.” (p. 135) What is it about Loeanneth that intrigues Sadie? Why do you think she dives head first into solving the mysteries of the estate? 10. What did you think of Eleanor when you first encountered her? Did your feelings about her change? In what ways and why? 11. Many reviewers have praised Kate Morton’s writing, particularly the way she reveals family secrets. What family secrets were revealed in The Lake House? Did you find any particularly shocking? Which ones and why? 1. Kate Morton has cited Enid Blyton’s The Enchanted Wood as the book that most influenced her to become a writer, saying “when I look at the books I write now, I can see her lingering influence.” Read The Enchanted Wood with your book club and discuss it within the context of The Lake House. Do you see the influence of Blyton’s writing in The Lake House? Do the books have anything in common? If so, what? 2. With its hidden secrets and the sprawling estate, The Lake House has a cinematic feel to it. Would you like to see it as a film? Discuss who your casting choices would be with your book club. 3. To learn more about Kate Morton, read her blog, learn more about her other books and participate in the readers forums, visit her official site at http://katemorton.com/.